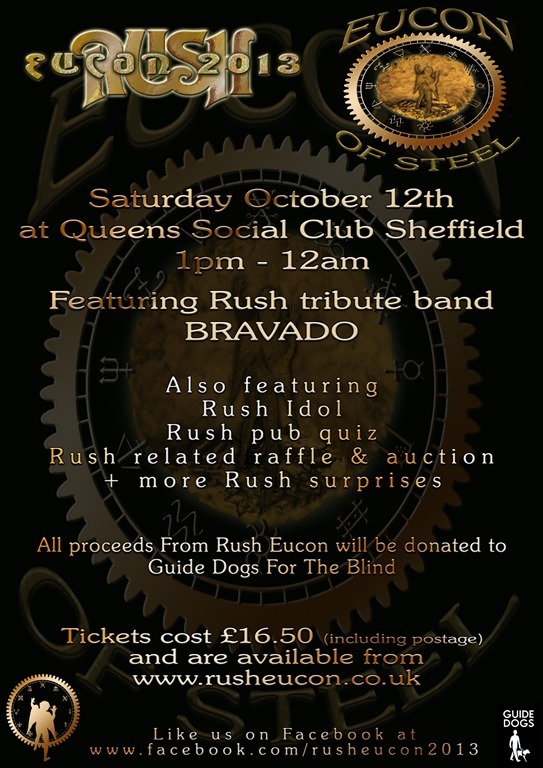 Rush fans are getting together in Sheffield, U.K., October 12 for “Eucon of Steel,” the 2013 Rush Eucon event. Th get-together will feature cover band Bravado playing a two-hour set of classic Rush songs, and attendees doing their own playing and singing, karaoke style, in “Rush Idol.” Other activites include a Rush trivia pub quiz, an air guitar competition, and a raffle and auction. Look for some surprises, too. The event is at the Queen’s Social Club in Sheffield, about a three-hour drive north from London, near Manchester and Leeds. Tickets are 16.5 pounds (about $25), with all proceeds going to Guide Dogs for the Blind. 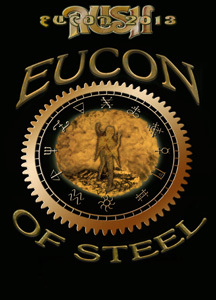 Go to the Eucon site for more. ~ by rvkeeper on July 30, 2013.